Smartphones are changing how people spend money. Whether from Apple, Google, Facebook or startups, banks face competition in a $700 bln industry they once dominated. There’s plenty of room for all, though: most newcomers cannot operate without the help of the old guard – for now. Financial tech has as much to gain as fear from D.C.
MasterCard reports first-quarter earnings on April 29. Visa follows suit on April 30. 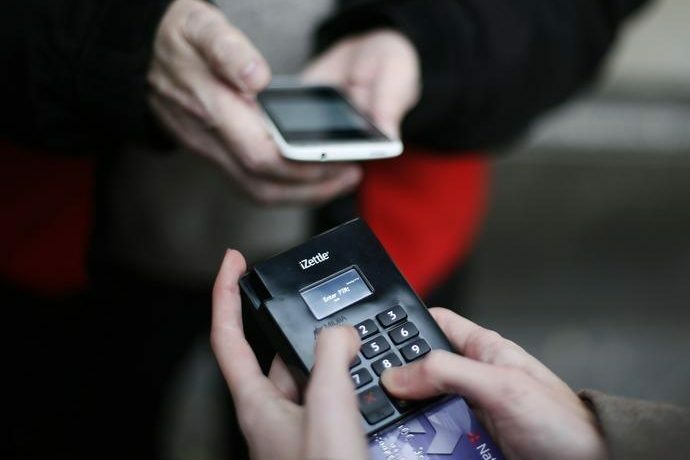 UK mobile payments company Monitise said on March 25 that it would remain independent after spending two months in a formal sale process. Monitise shares fell 28 percent on the day. Facebook announced on March 17 that it is adding a feature to its Messenger app that allows people to send money to each other. PayPal announced on March 2 that it is buying mobile wallet operator Paydiant, which provides services to companies including Subway and Capital One. PayPal has not disclosed what it is paying for Paydiant, but tech news website Re/code put the price at $280 million.